As a health worker, there are some basic etiquettes that you need to possess for a good health service delivery, this page speaks the role of health workers' positive attitude, and relationship with clients to improve their attitude towards clients, apply basic quality principles in their daily activities, and strengthen their community engagement skills respectively to create demand creation and uptake of health services, especially routine immunization, at health facility levels. This topic emphasizes how you, as a health worker can use the knowledge gained from other trainings to better serve clients (positive attitude). You being a health worker, you exists because of the people you serve! This perception should be our driving force as we continuously strive to provide quality services, reach all the eligible populations and meet our personal and collective work targets and RI indicator. Think of your primary health care (PHC) as profit-making business organization, (your family business). To generate revenue, make profit and survive, your PHC must provide quality goods and services that satisfy its clients and that's why applying some certain business growth strategies is a must do things to your PHC. Similarly, as health worker, you should provide quality health services that satisfy your clients/patients and meet their needs while respecting their rights as clients. Now, with the application of the above information and skills in your day-to-day health service delivery, what are the rights of clients seeking health services? Right To Accurate Information: Every client have a right to accurate, appropriate, understandable, and clear information related to the health services they have come to seek. For example: routine immunization or health conditions they have come to treat. Right To Informed Choice: Clients also have a right to make a voluntary, well-considered decision that is based on options, information, and clarity provided by the health worker. Dignity And Respect: All clients have the right to be treated with respect and compassion. As a service provider, you need to ensure that clients are as comfortable as possible during procedures. Safe And Effective Care: Clients have a right to safe services. As a health provider, ensure that the services you are providing does not cause any direct or indirect harm neither physical, psychological or emotional to your client. Privacy, Confidential And Expression Of Opinion: Clients have a right to privacy and confidentiality during the delivery of services such as counseling, examinations, etc. Right To Access Quality Health Services: Clients have a right to that are affordable (and in some cases free e.g. Routine Immunization), available at convenient times and places, fully accessible with no physical barriers, and inappropriate eligibility requirements or social barriers such as tribe, and religion etc. Continuity Of Care: All clients have a right to continuity of services, supplies, referrals, and follow-up necessary to maintaining their health. Some basic needs of health service providers to fully grant the right of clients and ensure quality services, health workers' have basic needs which should be met under ideal circumstances. Good Management And Supportive Supervision: This can come directly from higher level managers at LGAs or from Ward Focal Persons and health facility in-charges at ward and health facility levels respectively. Training, Information And Personal Development: Health service providers need to continually update their knowledge and skills through reading e.g. “routine immunization guide for service provider”, training, partner and private personal training/capacity building programs. Supplies, Equipment, Infrastructure And Security: Health care staff need reliable, sufficient inventories of supplies, instruments, and working equipment, as well as the infrastructure necessary to ensure the uninterrupted delivery of high-quality services. In addition, health worker should also be provided a secured environment to work. We have been mentioned “positive attitude” right from the begging of topic, what do you understand by the word good attitude? With no further ado, Attitude refers to ideas, thoughts we hold about ourselves, others, objects and experiences. 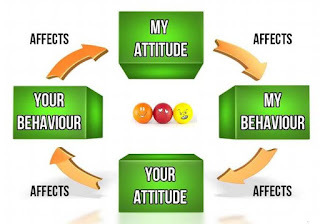 Alternatively, attitude can be said to be a judgment a person makes about a person, group, event or issue which can be associated with positive, negative or neutral feelings. 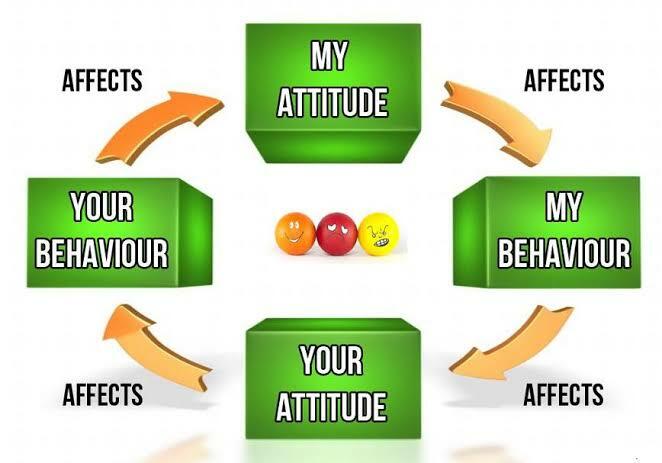 Your attitude influence your behavior and how we react to others. Likewise the attitude of health workers towards patients. Think about the best service you have ever received. Where and when was this service provided? Why do you think it was good? Now think about the worst service you have ever received and draw the contrast. if you are the recipient of the services you currently provide, how would you rate it? Note!! Your patient wants what you want! positive attitude in health care is what your clients need to patronize the services offered in your PHC. Your attitude as a health worker impact on your success in achieving required health outcomes and meeting national routine immunization indicators. From the table below, a health worker who lacks the will, commitment and personal motivation to do his work efficiently will be at the lowest level in immunization coverage and quality indicators whereas, his counterpart who has the will and the Can-do attitude is more likely to meet required outcomes, see table below. Health workers provide essential services which should ordinarily meet their client's expectations. However, the attitude of health workers in different country's health facilities have resulted in several negative reports about health workers from clients who access care. Extortion of money from clients even when services are free. Hinder potential patients from seeking health services like immunization. Undermine the quality and effectiveness of care they deliver. Conclusion: As a HW, your client's satisfaction should be your number one priority. In everything, treat others as you would want them to treat you.